With Christmas just days away, we've got sleigh bells and snow flakes on the brain. Unfortunately, here in Portland, the reality is more like duck boots and rain drops. Rather than get too bummed about the drizzle, we've focused our attention on a major trend for winter that our buyers spotted it all over NYC. Shearling. It's the basically the warmest fabrication out there, and totally timeless; you'll stay cozy and chic winter after winter. Although rain isn't ideal for fur and shearling, you'll get more wear out of your piece if you treat it like you would any other winter coat. Just don't forget your umbrella. And don't worry, we've included a vegan option for those of you who don't do fur. L to R: Vincent Pradier beanie, Rene Escobar necklace, Sara Weinstock bangles, Christiansen fringe leather hobo, Rag & Bone "Callista" crewneck sweater, Current/Elliott plaid shirt, AG "Nikki" jean, Vince shearling jacket with hood and Theory "Visterna" faux shearling vest. When the temps start to warm a bit with the arrival of spring, don't be afraid to pair your shearling outerwear with a mini dress and a bare leg for a bold, high fashion look. It can be hard to imagine shopping for Fall, when we've just started dressing for warm weather and Summer Solstice is still around the corner. But, we all know the fashion industry is always seasons ahead. With the Pre-Fall and Fall shipments already arriving in the store, it's a good time to start planning your Fall wardrobe while also thinking about how to wear those pieces now. Ponchos may scream Fall to you, but they are the perfect, season-less accessory. Throw one on over a dress for a chilly night out or pair it with your favorite chambray shirt and skinny jeans for day. As the temperature rises, leather and may not look to appealing, but don't forget how soft and light leather has gotten. Pair a leather mini skirt with flats and a short sleeved linen tee and throw your leather jacket over jean shorts and a graphic tee. High waist flares are perfect for Summer. Pair them with a breezy blouse or a cropped tee and your favorite summer sandals and you're ready to go. What's the fun in shopping for next season if you can't wear them now? You certainly don't have to wait for Autumn to get some use out of these trends. 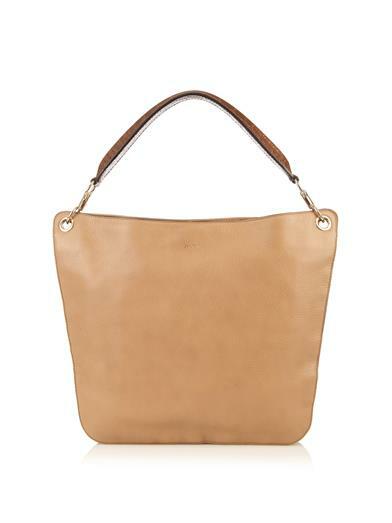 Max Mara is a favorite of ours at Mercantile, and the handbags are no exception. Made in Italy by master leather craftsmen with the softest leather and sophisticated metal details; their bags are exquisitely tailored with the same attention to detail as their Ready-to-Wear collection. They are extremely versatile and will easily transition into the Spring season. MAX MARA FACTORY AND HEADQUARTERS IN THE 1960'S. The fashion house was started in 1951 by Achille Maramotti with the goal to create high quality manufactured clothing inspired by the French yet remaining thoroughly Italian. This concept was new and innovative in Italy, where clothing was still entirely hand crafted. Mr. Maramotti strived to make clothing and accessories that were precise, clean-cut with decisive lines and an essential addition to a woman's wardrobe. It's safe to say that he succeeded! 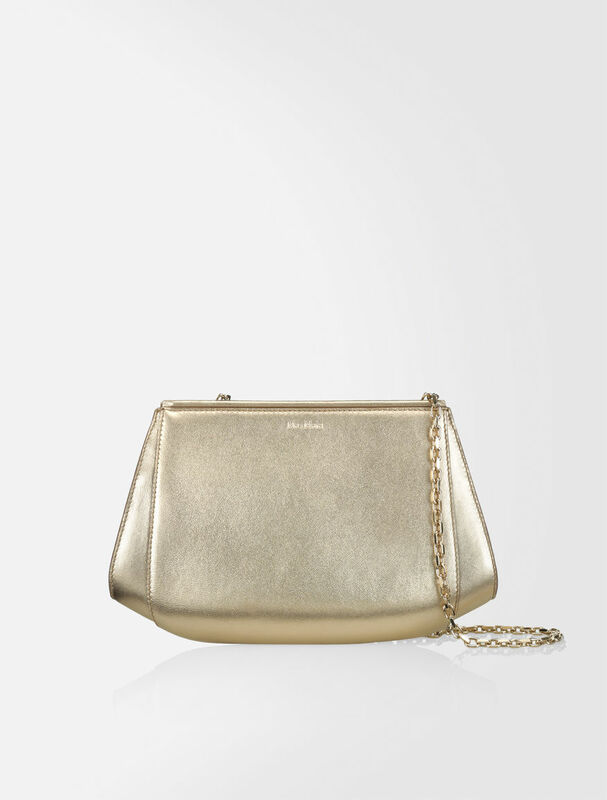 Whether you need a new handbag to use daily or a clutch for your upcoming holiday parties, Mercantile and Max Mara have exactly what you are looking for.